Nike Golf Ladies Dri-FIT Sport Swoosh Pique Polo. Design details include a flat knit collar, dyed-to-match buttons and open hem sleeves. Nike Golf Dri-FIT Sport Swoosh Pique Polo. 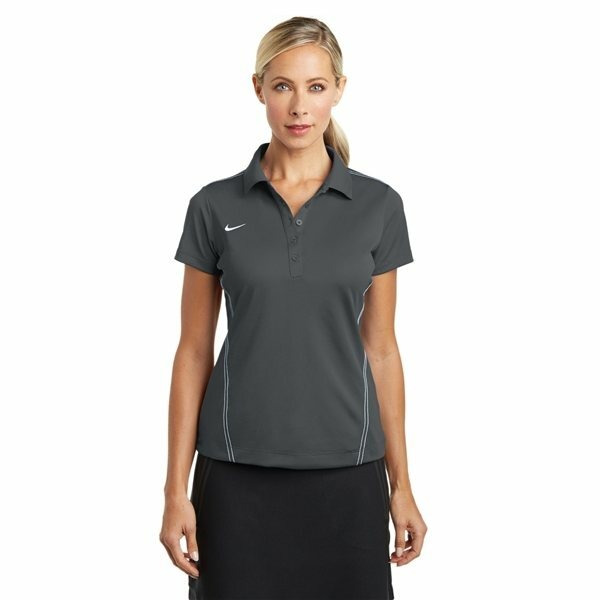 Overall Reviews: WRITE A REVIEW (6)5.005Nike Golf Ladies Dri-FIT Sport Swoosh Pique Polo. I needed something which did not take too much space and I could still easily carry in purse. Perfect. Very nice and affordable! Everybody has loved these! the product is great, exactly what I expected.Love it. Great promotional product at a great price. Our employees loved the product! Happy using the product. This was very popular and everything went smoothly.